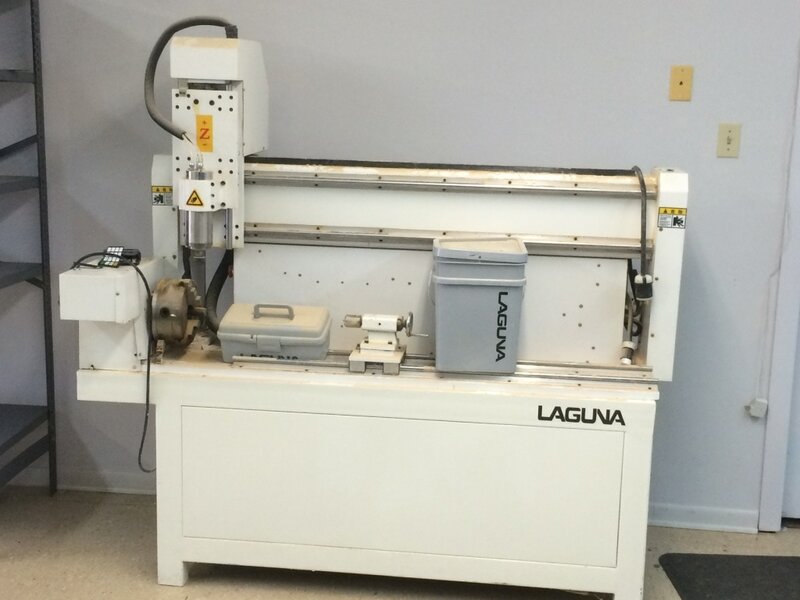 CNC machines need to operate in an air conditioned or dehumidified environment. Gantry rails can rust in the wrong environment. If rails are not smooth, the machines accuracy will be marginalized. 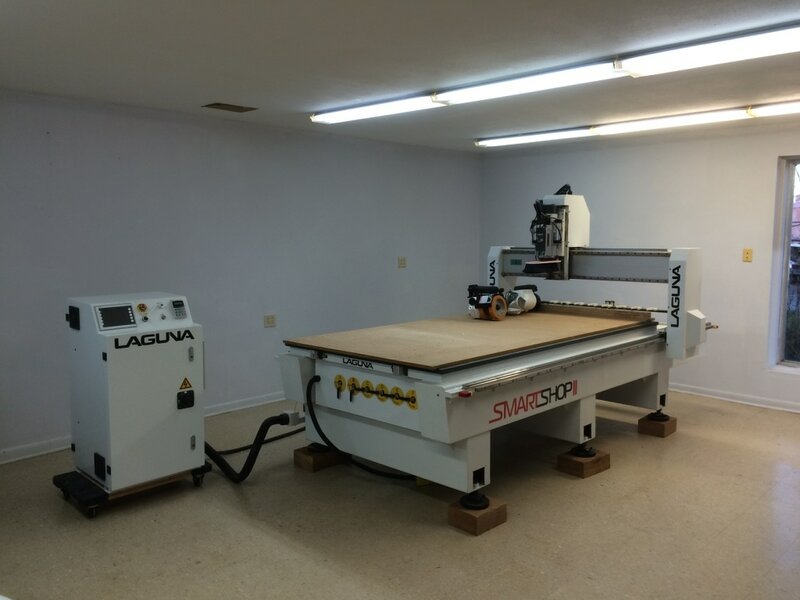 This air conditioned room was selected for the CNC machines. There were two entry doors from the open shop to the room. Neither door would accommodate these large machines. We elected to open the far end of the wall. The landlord was fully aware and approved this operation. At times he watched as we worked. 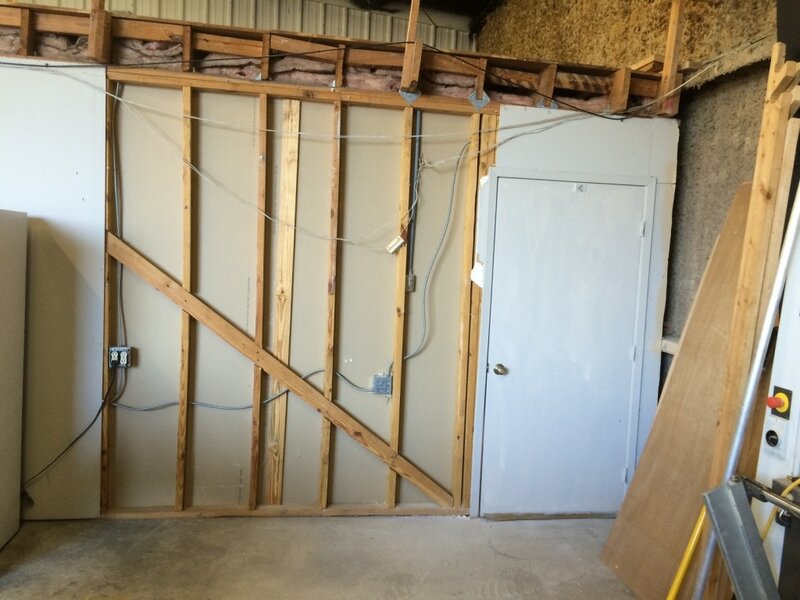 Prior to beginning our work we asked the landlord many questions about the construction of the room and the attic to ensure our solution would work. 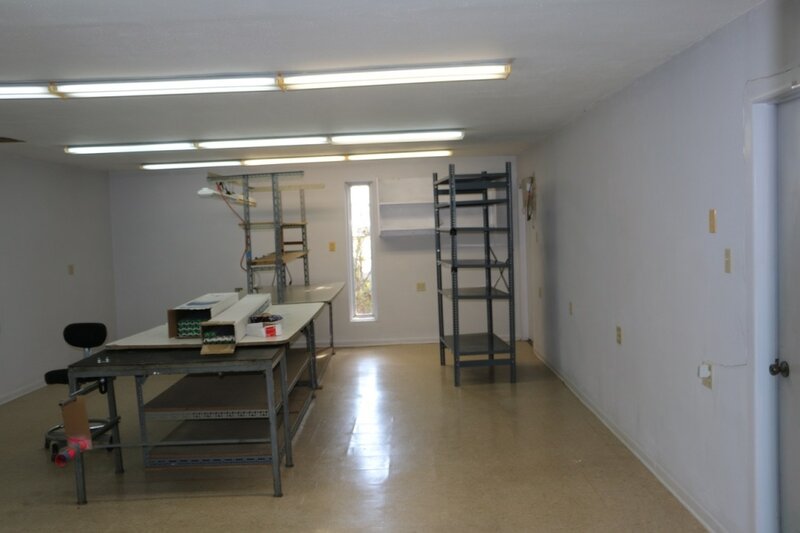 Before we leased the space the landlord had approved the use of the room and he knew we'd be opening a section of the wall to install the machines. 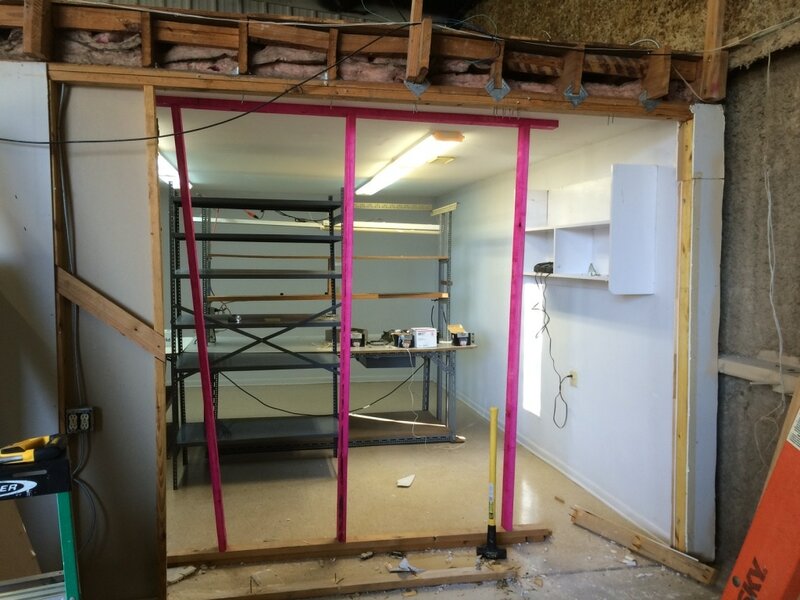 We opened the wall, propped up the ceiling structure, rerouted electrical wires for outlets and light switches and then built a massive header. 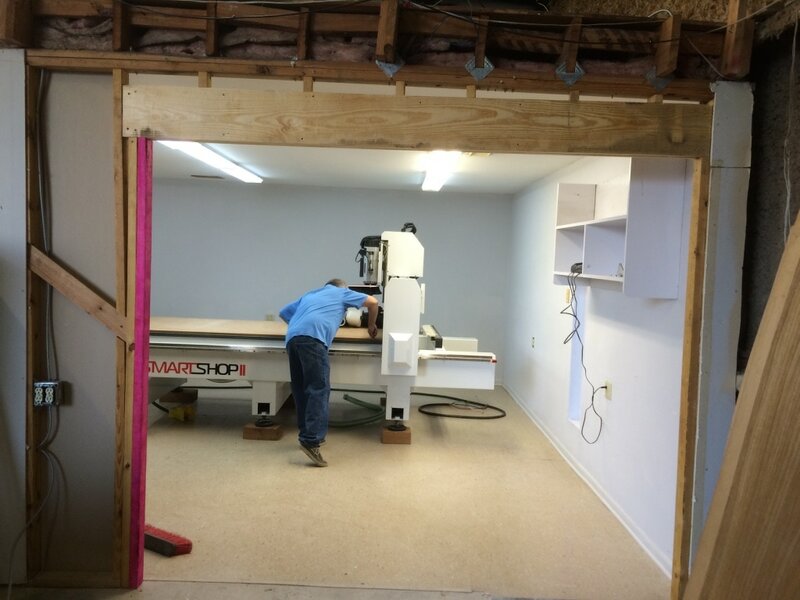 We move the CNC machines into the air conditioned room. Over the next two months we left the hole covered with plastic and moved items out of the room left over from prior tenants. 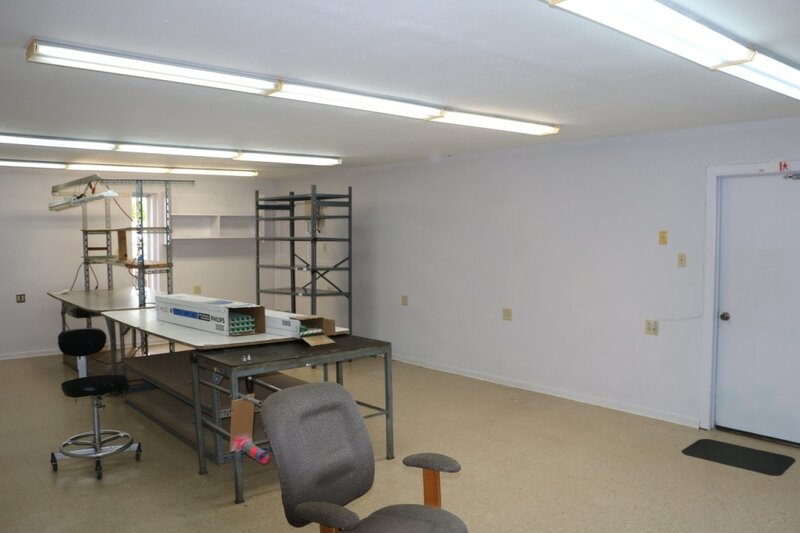 We also move items into room for our use. Once this process was complete, we placed sheet rock over the hole.